There are a number of ways you can support our work and make a difference in the lives of the young people of Maui. In addition to unrestricted gifts to the school, we invite you to explore the following financial aid programs to determine if they are a fit for your philanthropic interests. Building off of the success of the Tuition Assistance Program and in an effort to further reinforce the cultural diversity of our school, the Montessori School of Maui also offers a Hawaiian Scholarship Fund. The Hawaiian Scholarship Fund is designed to help students who came to us through the Pauahi Keiki Scholarship Program to remain a part of our ‘ohana and continue a Montessori education. This new scholarship opportunity is available exclusively for children at our school who received financial aid through a Pauahi Keiki Scholarship. At age six, when these young people no longer qualify for support from the Ke Aliʻi Pauahi Foundation, they become eligible to apply to the Montessori School of Maui Hawaiian Scholarship Fund to help fund tuition and fees for the subsequent school year. As we identify parents with an interest in keeping their child with us throughout the duration of our program, which extends through the 8th Grade, our objective is to connect their financial need with the enthusiasm and commitment of generous members of our community. Ideally, these partners will be interested in a longer-term pledge to each child’s future. 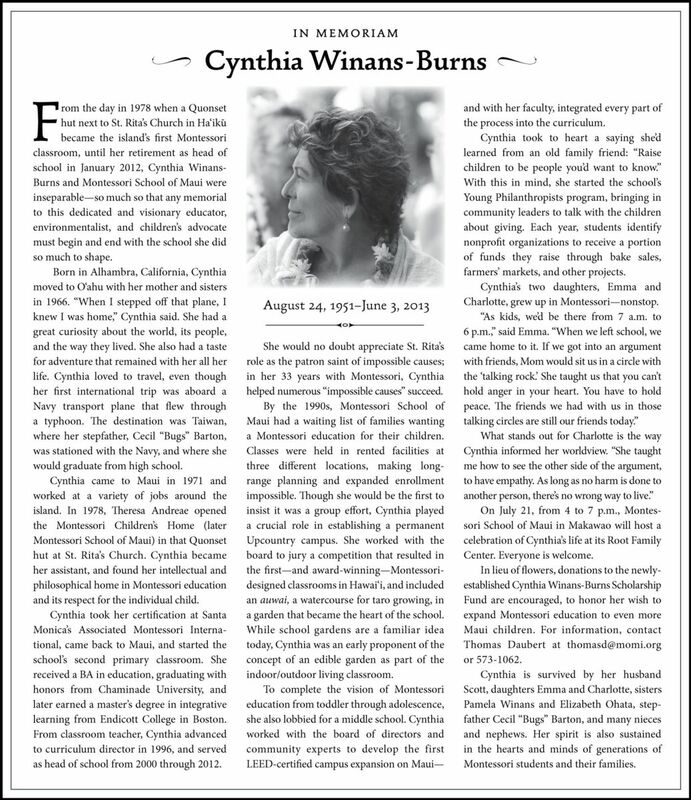 Cynthia Winans-Burns, former Head of School and member of our community for over thirty-three years, was a passionate advocate of the many benefits of a Montessori education. Following her wishes, the school established this scholarship fund in her name. 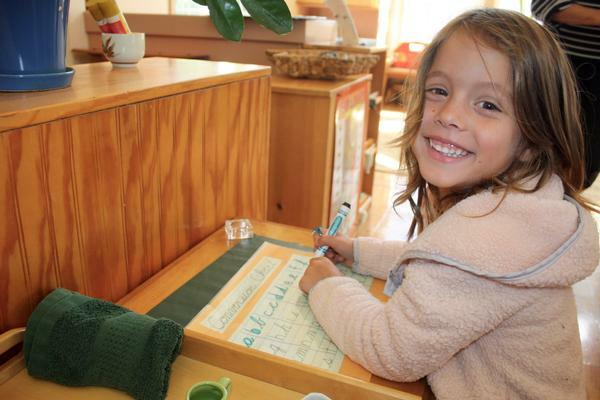 The endowment fund supports the tuition of children of Montessori School of Maui alumni, helping to make an enriching education here on Maui possible for future generations. To view Cynthia's memorial, please click here.